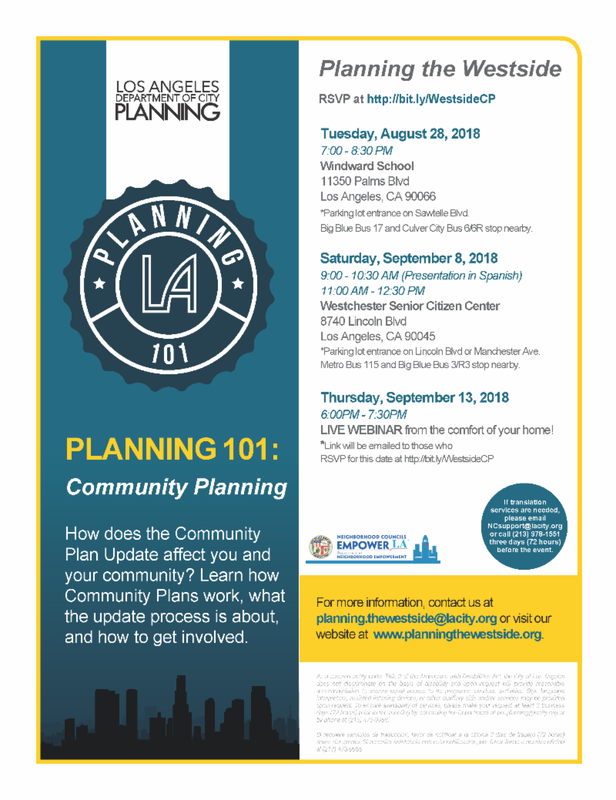 The Department of City Planning, in collaboration with the Department of Neighborhood Empowerment, will be hosting a new series of Planning 101 trainings focused on Community Planning. The trainings will take place in the Westside and Harbor regions of the City, where new Community Plan Updates have been recently launched. Please join us to learn about how the Community Plan Update process works and how to get involved! Information about the Westside trainings can be found here: http://www.planningthewestside.org/events.html. Information about the Harbor trainings can be found here: http://www.harborlaplans.org/whats-new.html.